When you think antivirus, we’re sure McAfee is a name you’ve heard before. McAfee AntiVirus blurs the lines between a security suite and a standard antivirus program by including firewall protection and additional security features, as well as unlimited installations on all devices. While it may not be the highest-scoring antivirus program we review, McAfee AntiVirus protects every device you own for a price that’s far more affordable than other security suites we cover. One of the biggest pluses of McAfee AntiVirus is the affordable ability to install it on every device you own - including Macs and iOS devices. Compared to other security suites offering “unlimited” installation, McAfee AntiVirus’s price is practically a steal. McAfee AntiVirus also includes a host of additional features that aren’t usually found outside of larger security suites, like a strong firewall, their WebAdvisor component (which identifies malicious or fraudulent websites and heads off dangerous downloads), a QuickClean component that scans your system for junk files, and a Vulnerability scan that finds missing security updates. McAfee AntiVirus only scores okay with our independent testing labs, providing decent but not great protection against malware and phishing. McAfee AntiVirus also provides fewer protection features and options for macOS and iOS devices compared to Windows and Android devices. McAfee AntiVirus provides decent protection for all of your devices at a great price, and has some solid bonus features that add a lot of value to the overall antivirus program. If you’re looking for an affordable way to protect your entire household from common attacks, McAfee AntiVirus is a great choice. If, however, you’re looking for truly stellar malware and anti-phishing protection, we’d recommend checking out some of our other security suites. McAfee AntiVirus doesn’t get great scores from independent lab tests, but it doesn’t get terrible ones either. For Protection, McAfee AntiVirus gets a 80%, but Software Features and Ease of Use are 96% and 84%, respectively. Where McAfee AntiVirus really shines is in the value for money; it scores a 9/10 there, due to its affordable price and comprehensive coverage. McAfee AntiVirus is one of the most affordable unlimited antivirus suites we’ve reviewed on our site, costing only $59.99 for a year of protection for all devices. 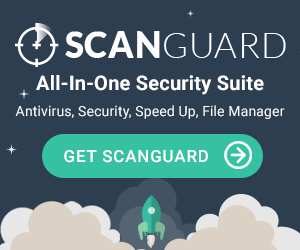 Other comparable antivirus suites can cost $100 or more for the ability to install their antivirus suite across all your devices. Free trials are available for some of McAfee’s products, and all products come with a 30-day money-back guarantee in case you’re not satisfied. We went over some of McAfee AntiVirus Plus’s software features when discussing the good about the program, but it really does have a huge selection of bonus security features. In addition to McAfee AntiVirus Plus’s antivirus protection, you’ll also get the WebAdvisor, which protects you against malicious websites and makes sure your firewall and antivirus are working properly. McAfee AntiVirus Plus’s Security Management Console lets you control protection for all of your devices from an easy-to-use webpage, so that you can make sure all your devices are securely protected. You’ll also get an effective firewall with McAfee AntiVirus Plus, as well as the My Home Network feature, which allows you to monitor the protection of all devices on your home network by connecting additional devices. McAfee AntiVirus also offers a file shredder to protect sensitive information from potential security risks, a Vulnerability Scan to find missing security updates for Windows and other popular programs, and a QuickClean component that removes junk files like broken shortcuts and temporary files from your computer to improve runtime. Because McAfee AntiVirus works on all devices, you’ll also get macOS and iOS protection, though it’s a bit more limited than what you’ll receive on Windows and Android devices. McAfee AntiVirus also scans your network and lets you know any devices that could have McAfee installed but don’t yet, because it wants to make sure you’re fully protected. McAfee AntiVirus comes with a recently updated user interface that’s much more user-friendly than previous iterations of the program. The main screen lets you know if the device you’re on is secure or not, gives you the ability to protect more devices, lets you run a scan, and more. The mobile interface for both Android and iOS devices is similarly streamlined, making it easy to understand and make use of the plethora of bonus features available with McAfee AntiVirus Plus’s package. Because McAfee AntiVirus lets you install unlimited copies on any device, the installation process is a bit different; you’ll redeem your 25-digit product key online and either create a new McAfee account or add it to your existing account. Once you’ve logged into your account, you can choose to either download McAfee AntiVirus directly to your device or send an email with a download link to another device. The ease of installation across multiple devices and clean user interface make McAfee AntiVirus a good program for beginning users, even if they won’t be able to take full advantage of some of the more advanced features (like the extended firewall customization options). McAfee provides free customer support for the life of your McAfee AntiVirus subscription. In addition to a virtual assistant that helps customers with standard issues, McAfee also provides phone, chat, and email support, and has a robust community support forum as well. McAfee also has a “Troubleshoot and Repair” option that checks for and repairs common product issues. McAfee is dedicated to their customer’s support experience; if for any reason you’re unhappy with the support you’ve received, you can submit a case to their Total Satisfaction Team and they’ll do their best to make things right with you. In short, McAfee does their best to go above and beyond to provide skilled, accessible support to all their customers. McAfee was founded in 1987 and is a wholly owned subsidiary of Intel Corporation. It’s the world’s largest dedicated security company, with a single mission: to help its customers stay safe. With proactive security solutions like their Global Threat Intelligence initiative, McAfee tracks emerging threats in order to stay one step ahead of the bad guys. McAfee is relentlessly focused on finding new ways to keep both in-home consumers and small businesses safe, offering protection for all types of devices so that their customers can work, play, and shop online more securely. While McAfee AntiVirus isn’t the strongest in terms of virus protection and only gets okay scores from independent testing labs, we still think it’s a solid choice for an antivirus suite - especially if you have a lot of devices to protect. The wide variety of bonus features and ability to install McAfee AntiVirus on unlimited devices across all operating platforms for just $59.99, combined with the easy-to-follow installation instructions and user-friendly interface, make McAfee AntiVirus a program we highly recommend. "After countless searching for the perfect antivirus software, I still have not found the one. I have read countless reviews on how this antivirus software works and how others can lead to viruses on your computer. Still, I am left empty handed. The worst for me is McAfee. I thought McAfee would be good because when I have purchased computers, McAfee would be there on the computer. McAfee was an easy to use products, but still there were some difficulties. The features of this software were virus and spyware, the web and email protection, updates, and protection. Every once in a while, it will scan and tell if you had any viruses. Recently I had purchased McAfee for 17.99 from a popular website. The reviews were not so great, but I still wanted to give it a try. I followed the instructions and downloaded the program. The first couple of weeks there was no problem, then suddenly, my computer went into a blue screen. It was the first time that ever happened. I rebooted my computer and the blue screen came up again. I did it a third time and I thought nothing of it, but the next couple of days it continued to do the same thing. I knew I had a problem. The sad part about this situation is that my relatives who had downloaded this version of McAfee were experiencing the same thing. I found out it was my McAfee and deleted it from my computer. I lost trust in this product. Instead of securing my computer they ended up shutting it down." "I have had McAfee on almost all of my computers for the last 5 years. Honestly, I've never gotten a virus whether it's because McAfee is good at what it does or simply because I'm a careful internet user. As a matter of fact, sometimes I have the feeling that the product itself is a type of virus. It constantly pops up unannounced, conducts unscheduled scans of my system. Once your free subscription runs out, the program is like malware in itself. It practically begs you for money every time you turn your system on. It's incredibly annoying." "I work from home so it is very important that my computer is able to stay clear of viruses, trojans, spyware, or anything else that can affect my job. I will be honest and say that I took McAfee for granted. I assumed that this software was just like any other anti-virus protection on the market. I couldn't have been more wrong! On May 16, 2017, I received an email from McAfee warning me about the global cyber-attack known as, "WannaCry". The emailed assured me that McAfee does automatic updates so that my computer is protected. In addition, the email advised me to update my windows (if necessary) to ensure that I had current emergency security patches in place. It was after this, when I started to appreciate McAfee. I then realized that I'd never had an issue with a virus, like some of my peers, because McAfee had provided me with such great service." "I purchased McAfee antivirus software in December of 2016. Overall, my experience has been very good. I have had absolutely no problems with viruses on my PC. The set up process of McAfee was very easy, and worth it, I would absolutely recommend McAfee to anyone wanting to keep their PC clean and safe from all and any viruses. The one down side that I have noticed over the couple months I have had it are the pop ups that happens daily. They constantly pop up and can get quite repetitive and annoying. Otherwise, I completely trust that the software is safe, and gets the job done. Again, I highly suggest this, and would suggest it to even my closest friends and family. The upside most definitely out weighs the small downside. It is fairly priced as well. I would give it a shot." "McAfee anti-virus software has been a big name in the industry for some time, however I have found it to be overly confusing and pushy with their payment options despite being a fairly useful software. McAfee's features aren't so much the problem as their approach. The software offers good protection and a solid interface, but the issue a lot of people including myself seem to have is how difficult they make it to use the software free or to use a lighter version of it. Every time I have ever attempted to use McAfee, I have become frustrated quickly over the obstacle course they put into place in which users are encouraged to enter credit card information for free use or upgrade to more expensive versions. Bottom-line, this is not a good anti-virus software for beginners or people unfamiliar with anti-virus software, and it is far too frustrating for experienced users." "The email reminder can be a pain, but I found that mcafee is more than antivirus, it also protects my password and personal information I place in shopping sites. This is wonderful considering I do most online shopping on my phone. I never thought I would need it on my phone or tablet but they are just as prone to virus as my laptop." "they made it easy for me to set my security up on my computer now I can have peace of mind"
"Used it for years. Trusted in the industry." "I love it no problems at all"
"McAfee's Total Protection helps me well to remove malware and protect my PC from hackers, and also helps to shred sensitive files and remove temporary internet files and cookies when needed. A great PC security firm to turn to for advance PC protection." "Haven't received a virus since I bought it." "McAfee Endpoint Protection security suite gives the most comprehensive insight into your endpoint environment and has a ton of power and flexibility to institute comprehensive security policies across your entire organization or just a very small subset of it." "One of the cool features of McAfee Endpoint Protection is that we can define firewall rules for specific programs. The product is more user friendly. One can configure user specific functions like dashboards. Overall McAfee is sufficient to keep viruses away from one's computer." "THE security is very important in small businesses, mcafee provides an 'offer of efficient security. McAffee keeps us safe email, data and mobile devices, you can deploy it in the cloud that the company, without computer skills." "One of the best features I like about the McAfee Endpoint Protection product is how I am able to define firewall rules for specific programs. The ability to white list what certain applications are able to do gives me peace of mind that nothing suspicious is going on behind the scenes. This requirment becomes more and more important as hackers continue to become more advanced in their attack scenerios." "Deployment and administration is fast and easy. Policies are pushes automatically with granular control of products and individual product policies. It doesn't use much endpoint (workstation) resources." "One of the features I like about this product is how I am able to define firewall rules for specific programs. Also, the web control add-on to the browser inject the system well. We can easily customize the system according to what our work is and apply adaptive rule sets and IP spoof protection are amazing features." "The antivirus allow you to get peace of mind on any of your devices, it could be your personal computer or even your smartphone." "Good detection. I found Mcafee having better detection than Norton though lab tests say otherwise." "Full encryption to prevent data theft from stolen laptops or mobile devices. It offers two versions - business and enterprise with enterprise version excluding data encryption feature. This gives flexibility to enterprises already having other tools to encrypt the storage devices and save on some costs." "When you think of PC security Software, you think of McAfee. It's reliable and is a proven leader. You get all the security scans and alerts that you'd expect from a security software. McAfee alerts you the minute it suspects a security threat on your computer. They constantly update the product to ensure that you have up to date protection. It's easy to install and is often already installed on your PC when you purchase it. I liked knowing that it was working even when I wasn't thinking about potential risks."